Over 70% of adults have a form of gum disease. The term gum disease refers to a range of conditions involving the supporting tissues of the teeth. During its earlier stages, it only affects the surface tissues which can be seen in the mouth. This condition is called gingivitis. It is usually caused by bacteria accumulation which then forms plaque and tartar near the teeth. This causes inflammation in the gum tissues. As a result, the gums become weak and bleed easily. That is why your gums bleed every time you eat or brush. If not given appropriate gum treatment, gingivitis proceeds to become a more severe gum disease called periodontitis. This now involves the deeper tissues such as the ligaments, the root surfaces, and even the jawbone. Periodontitis is a very serious condition. It can proceed to further complications like receding gums, abscesses, trench mouth, tooth loss, and bone loss. Gum disease is highly prevalent. Everyone is susceptible. Thus, it is important to know the causes and symptoms of this ailment as well as the Toorak Gum Treatment. Improper Oral Hygiene – By not brushing and flossing regularly, you allow bacteria to build-up then form plaque and tartar. Also, not having regular dental check-ups in our clinic is one of the main reasons why gum disease goes undetected. Smoking – This unhealthy habit makes your mouth dry and acidic. This then allows more bacteria to thrive and populate inside your mouth. More bacteria in the mouth means a greater susceptibility to gum disease. Poor Nutrition – Vitamins such as A, C, D, and folic acid together with minerals like zinc are all important in maintaining gum health. The inadequacy of these nutrients can make you highly prone to gum disease. Other Illnesses And Medications – Diseases like diabetes, cancer, and others including stress can cause damage to your gums. Furthermore, lots of medications make the mouth dry. Without enough saliva, the gums are vulnerable to bacterial infection. Hormonal Changes In Females – These physiological changes in the system of females can make the gums more sensitive. This hypersensitivity makes it more exposed to infection and gingivitis. At times, gum disease can be a silent operator. Then again, here are common symptoms that you can check to detect gum disease at the earliest time possible. Early detection of gum disease makes it much easier to control and treat with the Toorak Gum Treatment program. It is never too late to make your move against gum disease. At Simply Smiles Dental, we provide you with the most well-rounded gum treatment program. The aim of Toorak Gum Treatment is not only to reduce gum inflammation but to revert the effects of gum disease, as well. This encompasses professional teeth cleaning, education about proper dental hygiene methods, and repair of other dental issues that may have contributed to or resulted from the gum disease. We highly recommend that underlying medical problems should also be treated to assure complete success in the treatment. After going through the Toorak Gum Treatment, Simply Smiles Dental can provide you with your own routine hygiene appointment with no out of pocket expenses. Gum disease is a serious problem. 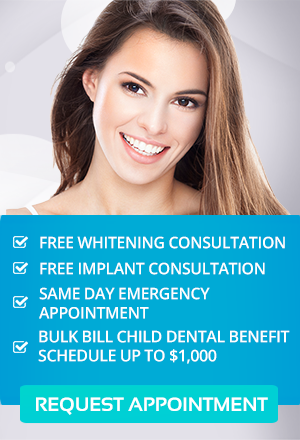 But with our assistance and the Toorak Gum Treatment program, you need not worry about it any longer. At Simply Smiles Dental, we believe that dentistry is not a luxury, and that ‘everybody deserves to smile’. That is why we keep our prices fair and offer solutions to suit every budget. We make this investment in you because we’re pretty confident that you’ll be pleasantly surprised when you meet us.